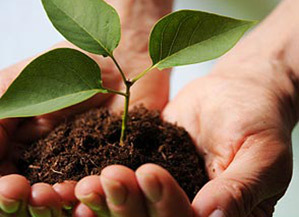 An important SNCA goal is to promote the use of concrete in sustainable, or “green” building practices. Concrete pavements are the responsible choice for our environment. Unlike petroleum-based products which use up our fossil fuel reserves, concrete is manufactured from three abundant, readily available ingredients: water aggregate and Portland cement. Concrete is built to last decades longer than alternative pavements. The concrete and cement industries also rely on materials from other industrial processes that are diverted away from landfills. Slag (which comes from the steel industry) can be used to partially replace rocks. Also fly-ash (that comes from the power industry) or ground blast-furnace slag can be used to replace as much asphalt of the cement used in concrete. Even the process of making cement uses recycled materials. High-energy waste, such as scrap tires, can be safely used as fuel for the cement- making process. Each year, a single cement kiln can use 1 million scrap tires, conserving fossil fuels and reducing waste. As a pavement, it reduces energy costs in many ways. The reflective quality of concrete’s neutral color creates a brighter surface allowing the amount of night light to be reduced. Up to 27% of light falling on a concrete surface will be reflected, compared to as little as 5% of light from asphalt pavements. This saves energy and offers real safety benefits This reflectivity keeps cooler during the day reducing energy costs in adjacent buildings. Concrete is also the smoothest rolling surface, promoting better fuel economy. In urban areas, concrete also reduces the heat-island effect, a phenomenon associated with dark pavement and roof surfaces that cause temperature increases. The urban heat-island effect can contribute significantly to both energy consumption for air conditioning, and to smog formation. Newer concrete techniques now allow water to filter through rather than run-off allowing for better storm water and pollution control. 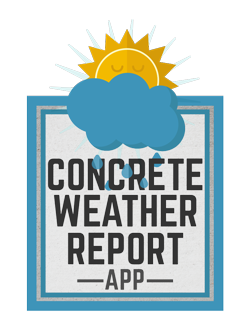 Home and building owners who have built with concrete can lower their heating and cooling bills by 25 percent. Heating, ventilating and air conditioning of concrete structures can be designed with smaller capacity equipment. Concrete is showing the way for communities to turn gray into Green and is the responsible choice for our workplace, homes and community. Using concrete can increase the number of points awarded to a building in the LEED system. The following are suggestions for earning LEED-NC v2.1 points through the use of cement and concrete products. The paragraph headings correspond to the credit categories and the credit numbers in the LEED rating system. 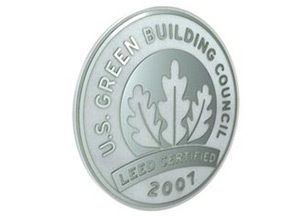 Points must be documented according to LEED procedures in order to be earned. The USGBC Web site, www.usgbc.org, contains a downloadable “letter template” that greatly simplifies the documentation requirements for LEED v2.1. The potential available points that can be earned by using concrete range from 11 to 21. 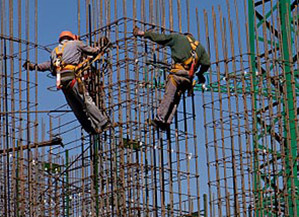 Concrete is one of the oldest and most widely used construction materials and possesses many unique qualities that benefit the owner, developer and designer. Design Flexibility– concrete can be molded into any shape by using appropriate formwork. This capability can be used to provide tailor-made design solutions to specific problems and also aesthetically pleasing finishes which often eliminate the need for further fixings, e.g. false ceilings. Specification Variety– concrete can be manufactured to an enormous range of specifications to suit a wide variety of applications. This can be achieved by using different mix designs or by the addition of different materials. Durability– concrete is one of the most durable materials on earth. Well designed, well placed concrete offers exceptional durability and long life in any structure. Concrete structures built over 100 years ago (even some as long as the Roman times) are still in active service today. Surface Finish– the aesthetic potential of concrete can be exploited through a variety of finishes. 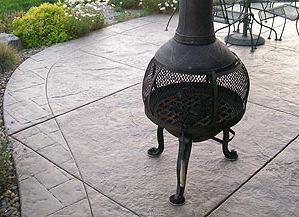 Exposed aggregate, and off-shutter, are two broad categories of decorative surface finishes. These methods, combined with colored aggregates, imagination and various other techniques, form the basis of aesthetic expression in concrete structures. Sound Insulation – concrete offers protection against noise in densely populated urban situations. Concrete walls and floors are particularly suited to reducing airborne sounds like traffic noise, reducing vibration from plant and equipment, as well as providing insulation against music and conversation. Thermal Insulation– concrete provides a sustainable, environmentally friendly solution to the growing need to control internal building temperatures. The thermal mass of concrete enables it to absorb, store and later radiate heat created by people, equipment, computers, lighting, appliances and solar gain, resulting in savings in air conditioning. Fire Resistance– concrete is almost unique in being an inexpensive, readily available building material which is intrinsically fire resistant, needing no additional application of fire protection, and at the same time have structural and aesthetic qualities.